Report on current and future activities in cartography and GIS. Establish a regional and international network of cartographers in the field of nautical charting. Create more collaborative activities between International Hydrographic Organization (IHO) and ICA members. Identify challenges in generating, producing, maintaining and distributing raster and electronic navigational charts. 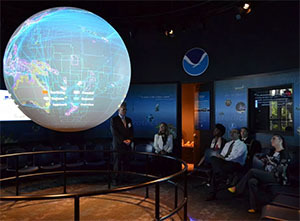 The four main themes for this year’s open house are: Bathymetric Databases, Inland Charting, Innovative Cartography, and Precision Navigation. Registration: Although this event is open to the public, advance registration is required. Registration information will be posted to this page in the near future. Please email nauticalcartography@noaa.gov with any questions.